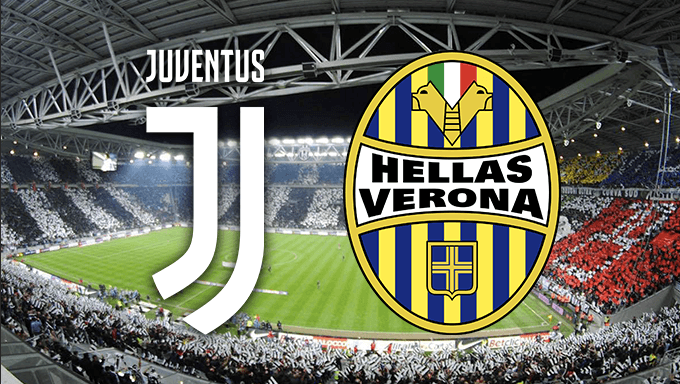 With the destiny of the title already decided, Juventus will play their last home game on Saturday knowing they will end the afternoon lifting the Serie A trophy regardless of their result against Hellas Verona. Their opponents arrive in Turin aware that their own fate is also secured, the Gialloblu already relegated to the second tier after being desperately poor throughout the entire 2017/18 campaign. Indeed, it was only the woeful inadequacies of rock bottom side Benevento who have prevented them from finishing dead last, Hellas managing just seven wins and four draws in their 37 games so far this season. At the opposite end, Juve might have been disappointed by their Champions League exit against Real Madrid, but have once again dominated the domestic scene. This term has seen them not only lift a seventh consecutive league title, but they have also added a fourth Coppa Italia triumph on the spin. Having won 34 of their last 38 home games and losing just once at Juventus Stadium this season, the Bianconeri are the overwhelming favourites to take all three points here. Their tally of 84 goals sees them ranks second behind Lazio (87) as Serie A’s most prolific side, while a staggering defensive record has seen them concede just 23 times. That unsurprisingly ranks as the best record in the division, and their opponents have managed to find the net on just seven occasions in their previous 18 home games in 2017/18. That stands in stark contrast with Hellas Verona who enter this clash with a -47 goal difference after struggling at both ends of the pitch. The Gialloblu have managed just two away wins and will hope to do much better in Serie B next season, where they will be glad to avoid Juve for at least a year. The Turin giants have won each of their last eight home games against Hellas, outscoring them by a margin of 17 goals to two over that spell. As a result it is no surprise to see Juve at odds of just 1/15 to win on Saturday with Karamba, but to find value it may also be worth considering having a bet on them to secure victory but with both teams to score. While they are wrapping up a seventh-consecutive league title, it must be noted that on the final day of each of the previous six campaigns, Juve have conceded six goals and kept just two clean sheets. Indeed, in the last fixture of 2014/15, Hellas themselves scored twice against Max Allegri’s men and Karamba are offering 29/20 on the Bianconeri to win but with their Veronese visitors also scoring at least once. Even in a star-studded team like Juventus, certain players stand out. This term, that has undoubtedly been Douglas Costa, whose dribbling, speed and direct approach offer a vital weapon to Max Allegri’s attacking plans. That he leads Serie A in successful take-ons with 102 this season is no surprise, but the fact he has done so while starting just 17 games merely underlines his impact. He has also weighed in with four goals and 12 assists, with Hellas Verona’s woeful backline likely to prove unable to stop him adding to either tally. Costa has found the back of the net in each of his last two starts, and with Bet365 offering a tempting 6/1 on him being the first goal scorer here, the former Bayern Munich man is a fine proposition to do just that. Speaking of goals, perhaps it is worth noting that Hellas Verona’s leading scorer this season is actually Moise Kean with four. On loan from Juventus, the 18-year-old would surely enjoying reminding his parent club of his quality moments before they lift the Serie A trophy and he certainly has the pedigree. Following up a strike against AC Milan with a brace against Fiorentina, Kean has shown he can deliver on the big occasions, while Juve have also allowed a number of their former or currently owned but out on loan players to score against them this term. In the first meeting with Verona it was Martin Caceres, Mattia Caldara struck for Atalanta and Leonardo Bonucci bagged for Milan back in March. Kean is available at 25/1 with Bet365 to join that list as the game’s first goal scorer, or 13/2 at any time, something that is certainly worth considering.